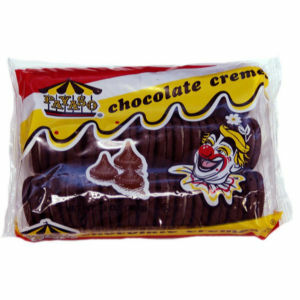 Payaso Choco Cremes are an "all chocolate" cookie with a mouth watering filling. The nifty tray pack offers convenience for any occasion. Our low price and excellent value makes this cookie simply irresistible.